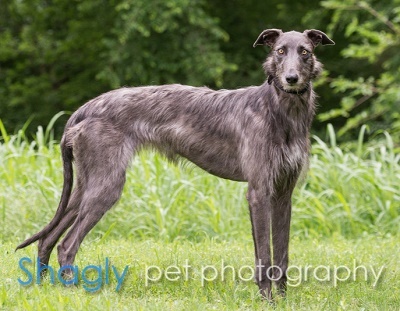 Fiona, or Princess Fiona, is an approximately 15 month old female greyhound mix. 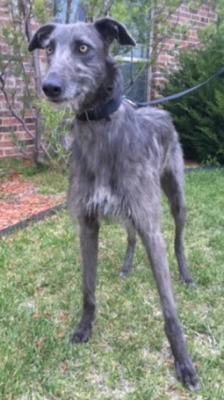 She found herself in a city shelter and was sprung by GALT the day she was scheduled to be euthanized. She is doing well in her foster home. House training is progressing nicely. Fiona is a leaner and loves to have her fuzzy hair scritched and fluffed up. She is currently being medically evaluated. Fiona is not considered cat or very small dog tolerant at this time.